There have been many studies that indicate lessening your intake of dairy, gluten, and animal protein will overall encourage a healthier body and mind. One of my favorite documentaries, called “forks over knives”, highlights the real and actual benefits of this type of low fat, whole-food, plant based diet and recently I have been able to convert a few family members. So below, I’ve shared some of my favorite recipes that were inspired by this idea to help them and you have a savory healthy summer! 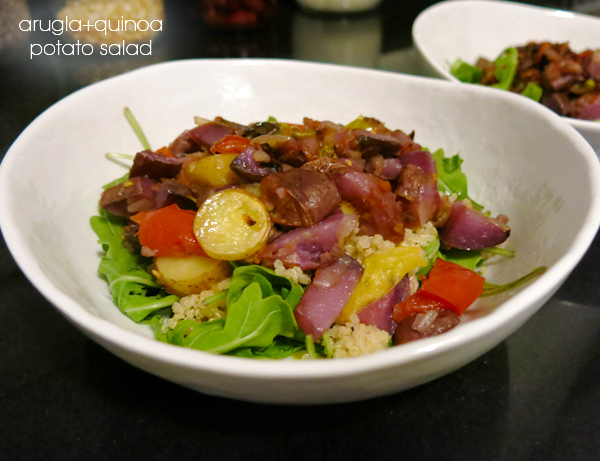 This salad is so easy and tasty – the only tough part is getting the quinoa to roast just right. 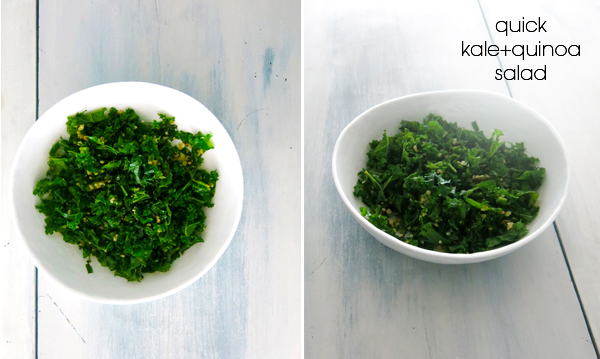 De- vein, and chop some organic green or black kale ( 1 large bunch or 2 small bunches) into small bite size pieces.Â Place in a bowl and add some salt and olive oil and massage for around 1-2 minutes. Cut two zucchinis into long thin strips and place in a baking dish with one onion and some olive oil and salt and broil in the oven until the zucchini and onions are cooked through and a little bit burnt/crispy on the tops. Take some already cooked quinoa and spread it in a thin layer on top of a baking pan that has a thin layer of olive oil on it so the quinoa wont stick.Â Squeeze half a lemon and some salt over the quinoa layer and put in the oven on low broil.Â Â Watch the quinoa carefully – it should brown, but don’t let it burn! Combined all the ingredients plus the juice of another half or whole lemon in a bowl and feast! This is a pretty basic dish, Quinoa is really good with roasted veggies because they have so much flavor.Â I also like to add a vegan pesto or in this case I added a roasted eggplant tapenade which mixes nicely in as a kind of sauce. Thinly slice an eggplant and an onion and place on a baking pan with some olive oil and salt and broil until the eggplant is cooked through and crispy in some places.Â Dump roasted eggplant and onions into a food processor with some more olive oil and salt to taste.Â Blend until you have a smooth tapenade. 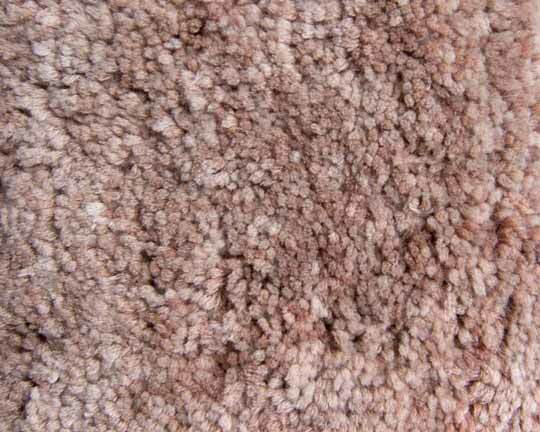 Cook your quinoa – for a serving for two I usually use one cup quinoa and two cups of water. Roast some veggies in the oven until browned and cooked through – in this case I used zucchini, red peppers, yellow squash and onion. To plate, squeeze the juice from half a lemon onto each plate first (see below), then place a scoop of quinoa, topped with a scoop of the tapenade and cover with the roasted veggies on top. This post is all about the roasted veggies, because its grill season – any of the oven baked veggies can be substituted for grilled veggies. 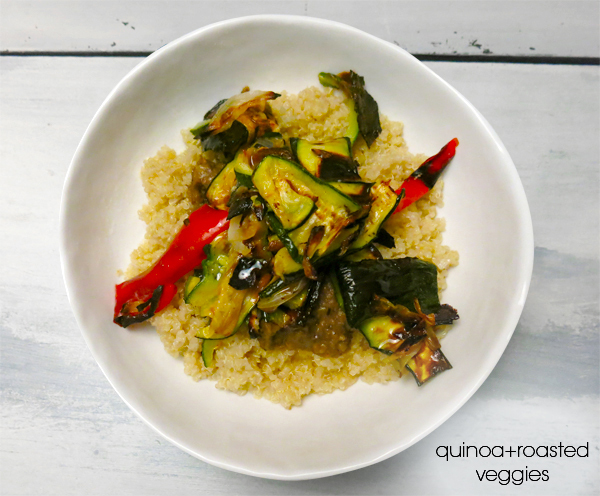 This is another Quinoa and grilled veggie dish. 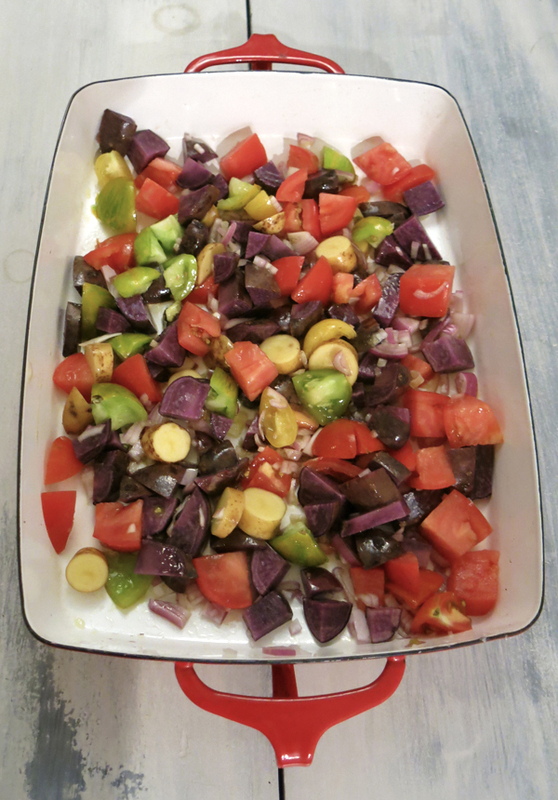 We chopped purple and white fingerling potatoes, heirloom tomatoes and onions up and mixed them with olive oil and salt and put them in the over to bake (I usually use around 400 degrees) until nicely roasted with some crispy burnt bits on top. 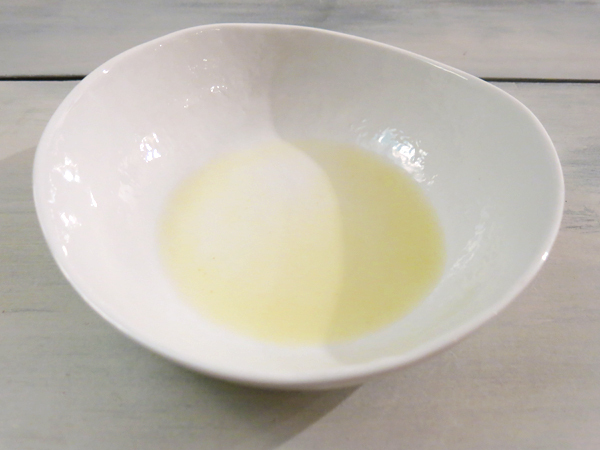 Then we placed the juice of one half a lemon in the bowl, and a handful of fresh arugula topped with an extra dollop of olive oil and salt if needed into the bowl. When the roasted veggies are done we scooped them on top of the arugula, the heat wilts the arugula a bit which makes it nice to mix up. 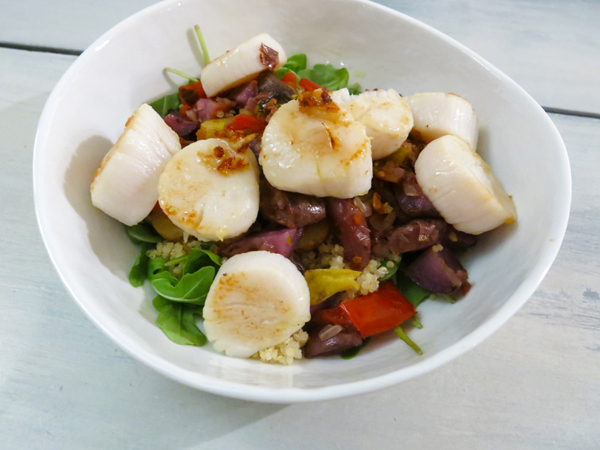 If you are looking to add some extra protein, I went with fresh scallops tossed in olive oil and garlic to top it off.